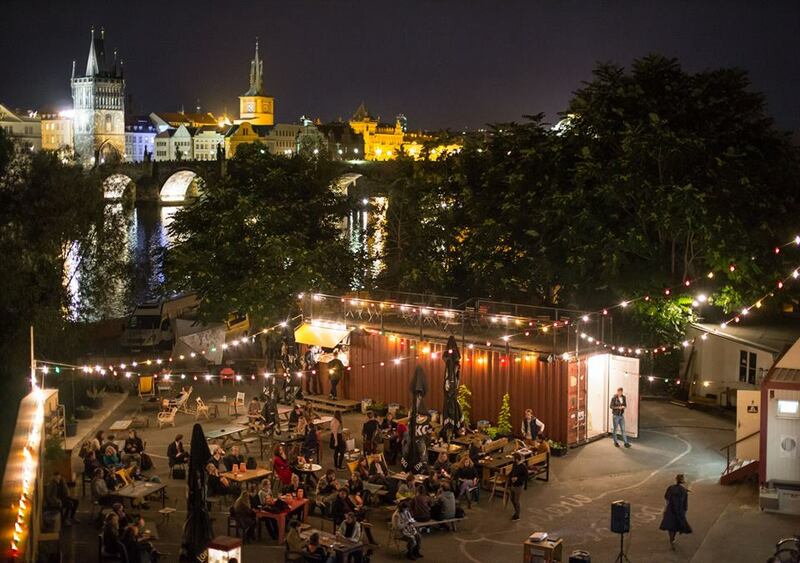 Summer is well on its way and one of the best ways to spend those delightfully long summer evenings is to visit one of Prague’s outdoor cinemas. Just imagine sitting back, refreshing drink in hand, watching the sun gradually dip below the skyline whilst enjoying one of your favourite films, finally checking out a recent blockbuster that you didn’t get round to seeing at the cinema, or being surprised by a film that you’d never even heard of before. 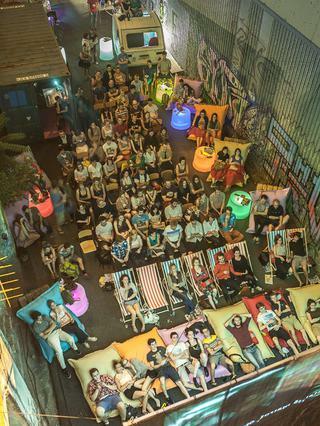 Here are a few of the outdoor cinemas that will be popping up all over the city as the nights get longer and warmer. 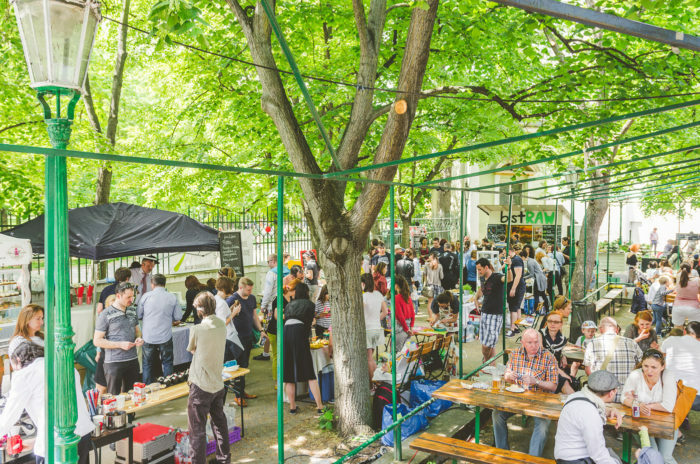 Tiskarna na Vzduchu is one of Prague’s hippest outdoor bars. They regularly have live music, nights dedicated to dancing, workshops and dancing. Starting with on May 30th, they will also be screening a film every Tuesday evening. The first film to be shown will be Mad Max (2015). Tiskarna na Vzduchu can be found at the edge of Stromovka Park and is very close to the tram stop Vystaviste Holesovice. They offer Uneticke (my favourite Czech beer!) as well as various wines, cocktails and lemonades. For more information see their online programme. 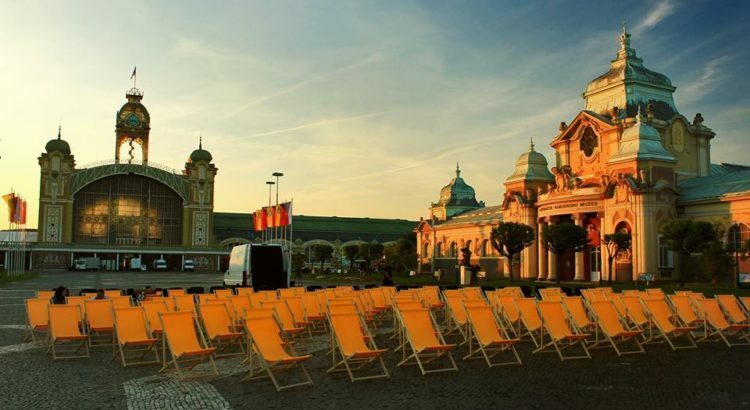 The summer cinema at Vystaviste Holesovice is brand new and it is being run by the Bio Oko, which is arguably Prague’s coolest independent cinema. A film will be shown every Thursday, Friday, Saturday and Sunday evening. The films to be shown here are some of the best and most critically acclaimed made during the past year or so. This week you can look forward to Captain Fantastic (2016), The Lost City of Z (2016), Alien Covenant (2017), A Prominent Patient (2017) and Colonia (2015). Vystaviste Holesovice is of course right next to the tram stop Vystaviste Holesovice in Prague 7. For more information see their online programme. The Meet Factory was founded by controversial Czech artist David Cerny in 2001. It is one of Prague’s most exciting and dynamic contemporary art galleries and also acts as a theatre and live music venue. The summer cinema at Meet Factory will open its doors on May 31st this year with a screening of the critically acclaimed Swedish film “We are the Best!”. There will be 16 films shown between May and September, including a few cult classics, quite a lot of foreign films and some real masterpieces of cinema. Meet Factory can be found in the district of Smichov and the closest tram stop is Lihovar. For more information see their online programme. 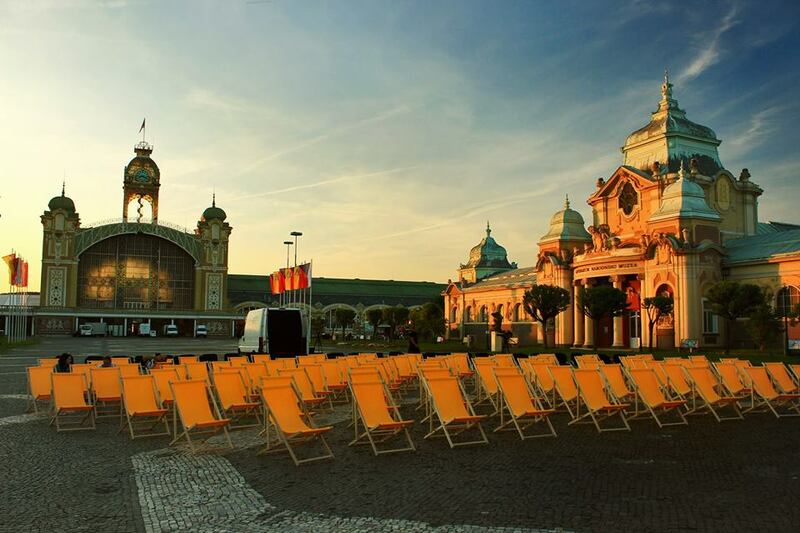 One of the most beautiful open air cinemas in Prague will be up and running for the first time on Friday June 23rd. It’s a few weeks away at this stage, so a programme of which films will be shown when has not yet been announced but based on previous years it should be a good selection of somer really classic movies as well as some more recent blockbusters. Riegrovy park has some pretty stunning views over Prague and the projector is going to be set up right on the hillside which looks out over Prague castle. Remember to bing picnic blankets, drinks and snacks. There is likely to be more information closer to the time, so keep and eye on the facebook group.